Upgrade your wood-burning fireplace with an insert and hearth makeover. Is your wood-burning fireplace a little dated? It’s an eyesore and is probably the focal point of one the rooms where you spend the most time – your living or family room. Upgrading that dated fireplace with an insert is a relatively quick way to make a dramatic change, and it will make you love that room a lot more. Take a look at the “before and after” photos below. Out with the old on the left, and in with the new Quadra-Fire Voyageur Grand wood insert on the right. The discolored and outdated gold finish and inefficient fireplace and doors are gone, replaced with an attractive flush cast iron insert that’s capable of heating 900 to 2,400 square feet. It involved no major construction and was completed in a matter of hours. Below is another example of a fireplace upgrade thanks to the Voyageur wood insert. Impressive, to say the least. 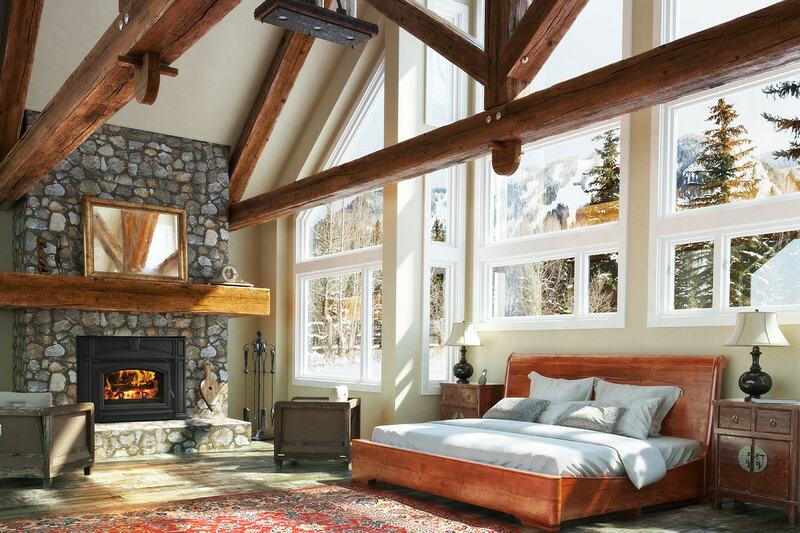 The updated stone hearth is a striking centerpiece in the room, drawing all eyes to the fireplace. Do you dream of this look for your living or family room? It’s not hard to achieve, and will add value to your home. Appearance is important, but so is performance. Inserts greatly increase efficiency and dramatically lower the emissions of dated wood-burning fireplaces. According to the U.S. Department of Energy, open-burning wood fireplaces can exhaust 24,000 cubic feet per hour of warm air to the outside, which in turn draws cold air in through doors, windows and other leaky spots in your home’s envelope. Truth is, they’re only considered to be -15 to +15 percent efficient. In comparison, Quadra-Fire wood inserts are up to 78 percent efficient. And, they are EPA-certified to comply with strict emissions and efficiency standards. Certification guarantees your insert will burn cleanly and efficiently, reducing your heating costs and protecting the outside air we all breathe. 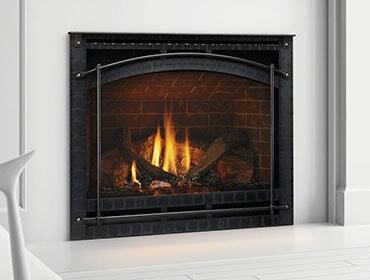 Before winter returns, upgrade your wood-burning fireplace with an insert. Learn more about the Voyageur and Voyageur Grand in this video. 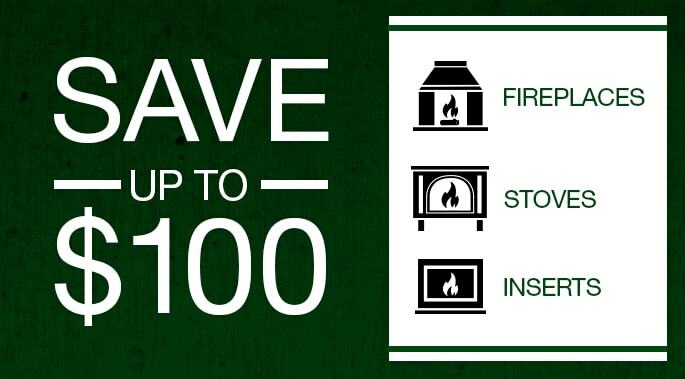 Or, pick your perfect option without the hassle using our Hearth by Design website or mobile app. It’s the Home Design Solution You’ve Been Waiting For.